Indigenous tuber plant called ‘Gongmintri’ from a ’kinglands in South Garo Hills. ST photo. 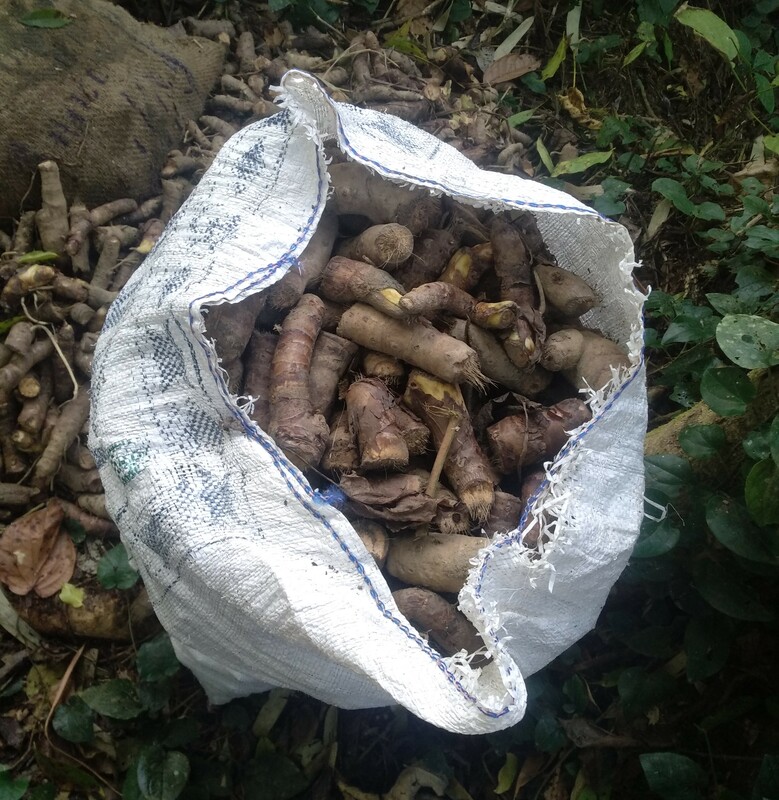 TURA: The illegal smuggling of an indigenous tuber plant called ‘Gongmintri’ from a’kinglands in South Garo Hills has been brought to light after three bags of the tuber plant ready for lifting were discovered and seized from a jungle by the Mindikgre regional unit of the GSU in the district. According to the GSU, unidentified miscreants had dug up the tuber plant from a jungle under Darit A’sim A’king Land and stocked them in gunny sacks to be easily transported later when members of the union came across the stash and took them into their possession. “This (Gongmintri) is an indigenous plant which is rarely seen nowadays in Garo Hills. If this illegal activity is allowed to continue, the plant will completely disappear in due time,” Greneth M Sangma, the President of the union said. Meanwhile, the union has also dispatched a letter to the nokma of the concerned A’king urging that strong action be taken against the culprits as well as necessary steps to check the illegal activity in future. The union also sought the cooperation of all nokmas from Garo Hills and cautioned them to be alert about the ongoing illegal activity.